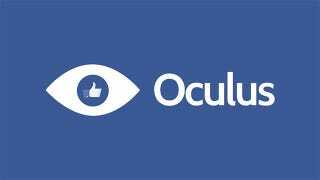 Facebook has just announced that it's buying Oculus Rift for $2 billion. Seriously. "Mobile is the platform of today, and now we're also getting ready for the platforms of tomorrow," Facebook founder and CEO Mark Zuckerberg says. "Oculus has the chance to create the most social platform ever, and change the way we work, play and communicate." Oculus are equally chuffed. "We are excited to work with Mark and the Facebook team to deliver the very best virtual reality platform in the world," Brendan Iribe, co-founder and CEO of Oculus VR says in a PR release. "We believe virtual reality will be heavily defined by social experiences that connect people in magical, new ways. It is a transformative and disruptive technology, that enables the world to experience the impossible, and it's only just the beginning." The deal is made up of around $400 million in cash payouts, with the rest being made up of Facebook shares. It's not a done deal yet; it's expected to be finalised in Q2 2014. But this is just the start. After games, we're going to make Oculus a platform for many other experiences. Imagine enjoying a court side seat at a game, studying in a classroom of students and teachers all over the world or consulting with a doctor face-to-face — just by putting on goggles in your home. UPDATE 2: Hah. Turns out this wasn't a random sighting after all. UPDATE 3: Here's Oculus Rift's official statement on the matter. This partnership is one of the most important moments for virtual reality: it gives us the best shot at truly changing the world. It opens doors to new opportunities and partnerships, reduces risk on the manufacturing and work capital side, allows us to publish more made-for-VR content, and lets us focus on what we do best: solving hard engineering challenges and delivering the future of VR.Over the next 10 years, virtual reality will become ubiquitous, affordable, and transformative, and it begins with a truly next-generation gaming experience. This partnership ensures that the Oculus platform is coming, and that it's going to change gaming forever.